KWFC, 89.1 FM in Springfield, Missouri celebrates its 50th Anniversary on Wednesday, April 17, 2019. 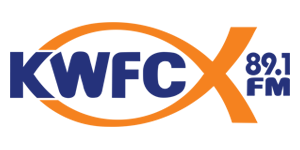 “We are celebrating an incredible milestone that few Christian Radio stations have ever had the privilege to reach.” Dave Taylor, Station Manager of KWFC said. KWFC began broadcasting on the campus of Baptist Bible College, Springfield, Missouri in 1969. In January 2015 the station was purchased by the Radio Training Network headquartered in Lakeland, Florida. Throughout its 50 years, the station has provided a blend of popular Bible teaching programs along with Gospel music, moving to a dedicated Southern Gospel format in the 1980’s. KWFC is an industry leader and was recognized as the 2013 Southern Gospel Radio Station of the Year by the Southern Gospel Music Guild. KWFC will host an open house from 10:00 a.m. to 2:00 p.m. on Wednesday, April 17, 2019 at their studios, 2550 S. Campbell, Springfield, Missouri. Light refreshments will be available for anyone who wishes to stop by to celebrate the occasion.